The AKP-MHP regime wants to intimidate the defense as they take Turkish judiciary hostage. Lawyers who refuse to bow down to injustice are arrested one by one. 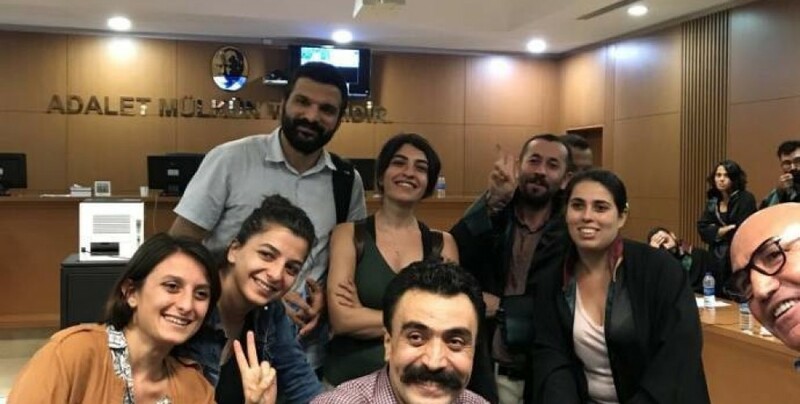 It hadn’t been 10 hours since the release of the lawyers from the Contemporary Lawyers Association (CHD) and the People’s Law Office (HHB) when the Istanbul High Penal Court No.37 issued arrest warrants again on the demand of the prosecutor. 4 lawyers were arrested. Lawyer Selcuk Kozagacli was detained in the Istanbul Court House in Caglayan in the evening. Kozagacli was battered during the detention. Kozagacli was taken to the Istanbul Provincial Security Directorate on Vatan Avenue last night and brought to the Istanbul Court House this morning. Kozagacli will be giving a statement in the Istanbul High Penal Court No.37. Lawyer Ahmet Mandaci who was detained in Canakkale appeared before the Istanbul High Penal Court No.29 last night through the video conference system SEGBIS to give his defense. Mandaci was arrested again by the court.